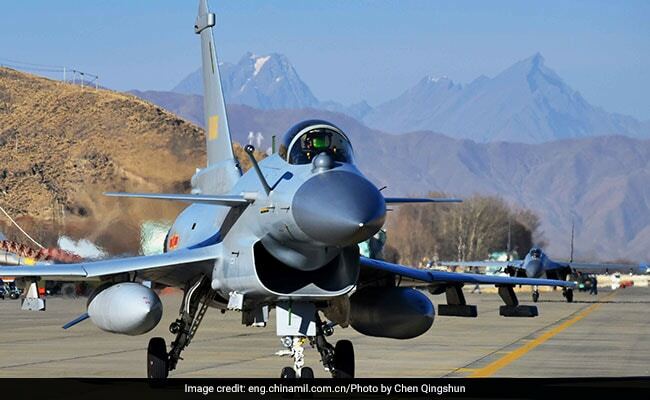 New Delhi: China's official military website has posted four high resolution images of Chinese military aircraft involved in military training activities over the Tibetan plateau. In an article, Global Times, a mouthpiece for the government in Beijing, said "China is upgrading its Western Theater Command in order to confront any threat from India." According to the Global Times article, which has now been re-posted on english.chinamil.com.cn -- a website sponsored by the Chinese People's Liberation Army -- the J-10 and J-11 jets which have been shown were filmed a week ago and are attached to an aviation brigade under the PLA Western Theater Command, which has operational control over the boundary with India. The article quotes Song Zhongping, a military affairs commentator, who says, "With India importing new jets, China will continue strengthening its fighter jets in the Western Theatre Command." While the report on the Chinese Air Force exercising in the Tibet region is not new, it is significant that images of these exercises have been released in public -- an indicator of Chinese defence preparedness in a region where geography traditionally favours operations of the Indian Air Force. 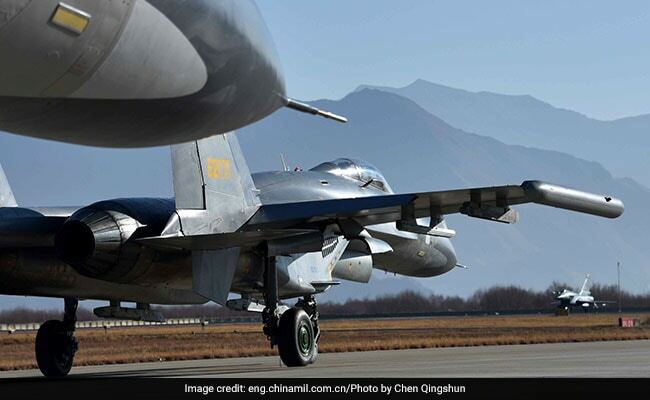 In simple terms, the lower density of air at Chinese air bases in Tibet means that jets like those shown by China's military website would enter a fight with the IAF at a significant severe disadvantage. The IAF, for its part, operates jets in the northeast from bases such as Tezpur, Kalaikunda, Chabua and Hasimara, which are located near sea-level elevations in the plains. Therefore, "the IAF has no such restrictions and will effectively undertake deep penetration and air superiority missions in the Tibetan Autonomous Region." Both India and China are in the process of upgrading their air forces, with India acquiring 36 Rafale fighter jets from France, the first of which will be delivered in 2019. China, meanwhile, has officially deployed its indigenous J-20 stealth fighters to frontline squadrons. The J-20, which first flew in 2011, has been spotted at high-altitude Tibetan airfields for tests, though there are no reports of its deployment in the region which faces India.